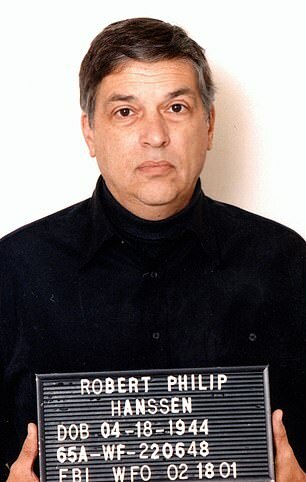 Leah Simpson at the Daily Mail offers a piece on a new book by Eric O’Neill, who helped takedown FBI special agent and Russian spy Robert Hanssen (seen in his FBI mugshot above). An FBI employee has revealed how he repeatedly risked his life to expose his special agent boss as a Russian spy. Former FBI agent and counter-terrorism operative Eric O'Neill (seen in the below photo) tells how he went undercover within the Federal Bureau of Investigation, posing as Robert Hanssen's assistant to secretly gather information on the veteran agent who was suspected of working with the Russians. The plot worked and Hanssen was eventually prosecuted for spying in 2001 - more than 25 years after he joined in 1985. 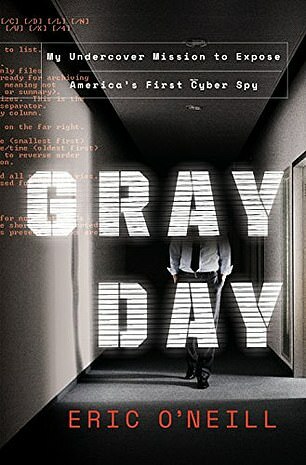 In his new book, Gray Day: My Undercover Mission to Expose America's First ­Cyber Spy, O'Neill shares how he was instructed by Special Agent Kate ­Alleman to gather intelligence on Hanssen. A new book tells the story of how the Federal Bureau of Investigation finally nabbed Robert Hanssen (left) in 2001, thanks to help from his assistant Eric O'Neill. After numerous near-blows, an unarmed O'Neill helped the FBI deepen the psychological profile of Hanssen. O'Neill wrote how he helped get the bureau the evidence they needed, despite numerous near-misses where Hanssen suspected his assistant of snooping around his office and allowing agents to search his car when he wasn't around. A successful office raid revealed that Hanssen was a double agent when O'Neill obtained and copied a letter that revealed Hanssen 'dreamed of being a spy against his country since the age of 14, after reading a book about Kim Philby — the British intelligence officer who was also a Russian double agent'.